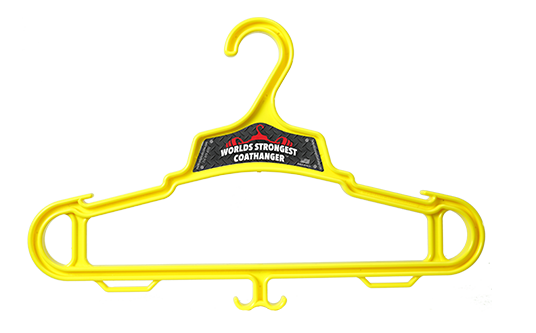 The World’s Strongest Coat Hanger is an oversized hanger for broad shouldered gear and features co-polymer construction for ultimate strength and durability. 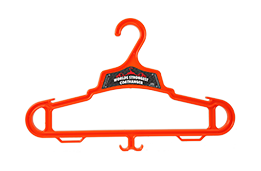 Each hanger has a 140+ pound load capacity, thanks to the I-beam design. Better yet, each hanger is 100% made in America. 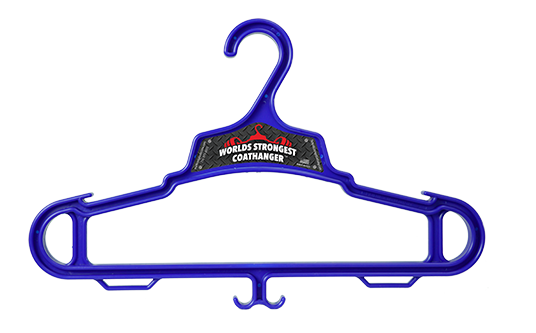 Combine that with multiple color options and this is hands down the coolest, strongest coat hanger made. 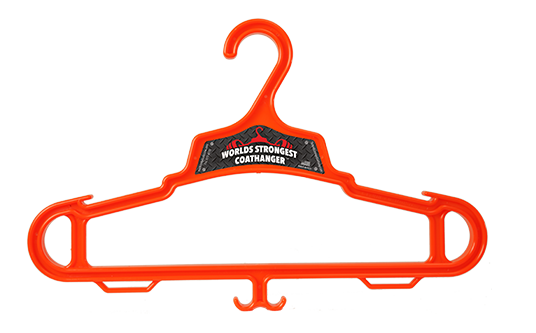 Nobody likes to give out logo’d golfballs that get lost or worse yet, a coffe mug because we don’t have enough of them already! Your company deserves to make a statement! 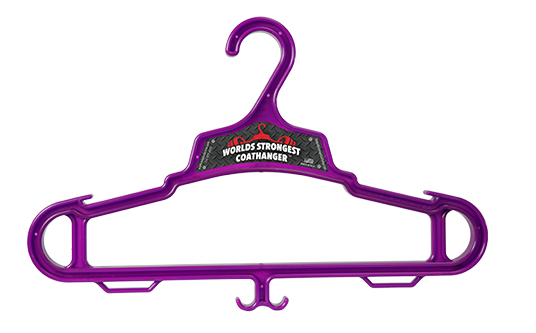 Let us put your logo on a World’s Strongest Coathanger! 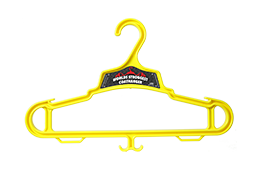 Great for employees and even better it is a strong marketing tool that will get used and talked about for years!